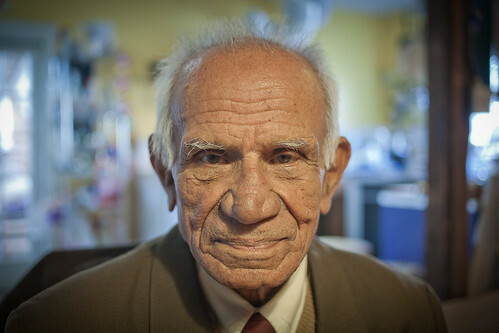 Shailendra Kumar Upadhyay (born April 17, 1929) died climbing Everest on May 9, 2011. As he liked to say, he was “82 years young”. 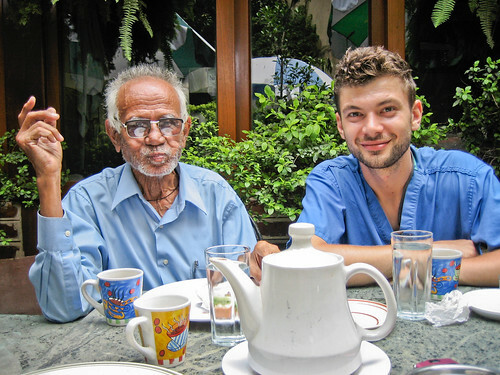 I first met Shailendra in Nepal in the summer of 2008 in Kathmandu. By any standard measure he was already an old man, but he was still actively involved in the political process of his country. And it was an tumultuous process. The king had recently been deposed. The Maoists who had been staging a multi year guerrilla insurgency that had extended to the majority of rural Nepal had been invited to join the government. Shailendra was right in the middle of these affairs, and he was the right person to act as the intermediary between the disparate parties. In the past he had been both a rebel and part of the government. In India he had been part of Mahatma Ghandi’s movement opposing British rule. In Nepal he had been jailed for his anti monarchic political views (1960) but then recruited to represent his country at the UN (1972-1978), as an ambassador to various countries, and Minister of Foreign Affairs (1986-1990). Even though he was officially retired, he helped negotiate the power transition with the rebel leader Prachandra, based on his political credibility as an independent thinker. In the summer of 2008 he was participating in the Constitutional Assembly of Nepal. After the King had been deposed, the military and civil government were attempting to define a new government structure. I’ve also had the pleasure of his company on long hikes where he was always a fount of stories from his eventful life. For example, story time would start with me asking a question like, “Shailendra, how many times have you been married?” He would think for a moment and reply with a question, “Officially?” I’d clarify, “Officially OR unofficially.” And then he’d clear his throat and start the story. As a product and refugee from the Soviet Union, I was also intrigued by stories about how as a member of the Nepali Communist Polit Bureau, he would raise money for the party from the Soviet Communist Party. In 2008, Shailendra mentioned that he had a dream of climbing Mount Everest. He also made an offhand comment about wanting to die there, but then laughed. Over the next couple of years his planning and training became more serious. When he came to fundraise in the US, he stayed with us at Langton Labs and I tried my best to assist him. Shailendra was starting to feel less relevant with age and wanted to make a bold statement. He would have been the oldest person person and the first octogenarian to climb the tallest mountain. He died pursuing his goal and this is my memorial to him. The following videos have been compiled based on interviews conducted when Shailendra stayed in San Francisco last year. 1. 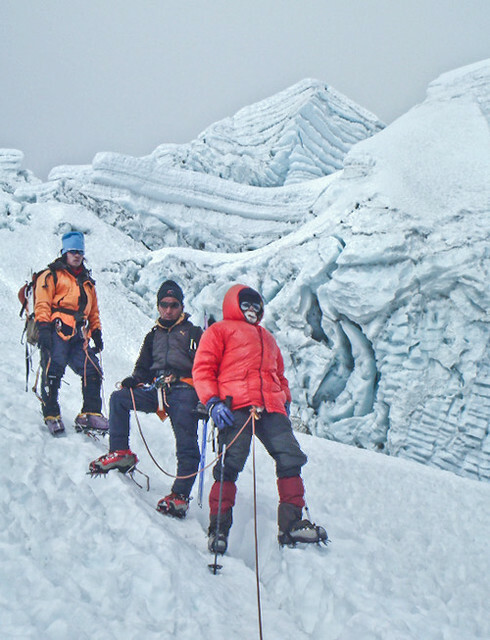 Are you afraid to die on Everest? Peretz, this is a wonderful tribute. I am sorry not to have met him, but so happy that you can share some of the beauty of his life with us. I’ve been wanting to see these videos. Thanks for posting them and for your nice memorial, Peretz! Thank you Peretz for sharing beautiful tribute. This is the man I remember who was never afraid to any risk. Remarkable compilation of the interviews that helped us to know better about the remarkable personality. Thanks for sharing. You are currently reading Shailendra Kumar Upadhyay – Obituary at Tolerable Insanity.